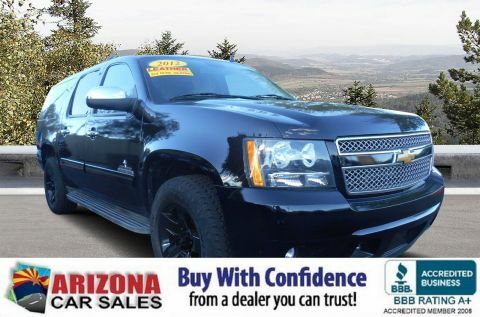 NO PRESSURE EXPERIENCE AND UP FRONT PRICING- IT’S THE ARIZONA CAR SALES WAY! BUYING A CAR DOESN’T HAVE TO BE LIKE GOING TO THE DENTIST! Arizona Car Sales is a little different than most car dealers, but in a good way! One of the things customers hate the most about the car buying process is that often the price and terms you are quoted before you come in are not what you see when you arrive. At Arizona Car Sales, we offer a No Pressure Experience with Up front, market based pricing. The price you see is the price you pay! No add-ons, no addendums, no extras, no frustration! The terms we quote you will always be exactly what you will see when you arrive as long as all the information you provide is accurate and verifiable at time of purchase. You can also get a real time, up front, trade-in offer right on our website before you arrive! Our friendly staff will make sure your paperwork process is easy and convenient and will work with you diligently to make your purchase experience the best you’ve ever had! Every one of our vehicles goes through a rigorous We put each vehicle through a 78-point inspection so that you can be 100% confident in the quality and safety of your vehicle. This inspection includes everything from tread depth of tires to thickness of brake pads to exterior paint quality to Bluetooth compatibility. Our technicians fix any issues uncovered in the inspection as well as perform any needed maintenance. In addition, we go the extra mile so that your car looks as good as new (like washing, cleaning, buffing, polishing, waxing, touch up, etc. ), given the vehicle’s age and mileage. Please ask a representative for details of the work we have completed on your specific vehicle. 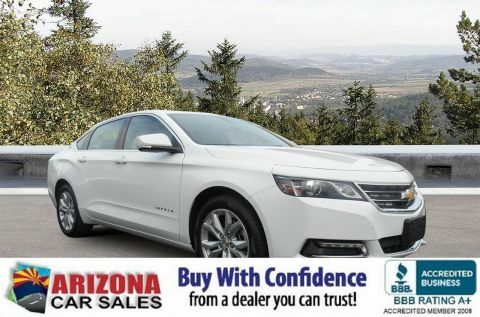 Arizona Car Sales has finance and lease programs that start as low as 3.99% APR, with as little $0 down and up to 84 months to pay with up to 90 days until your first payment is due on approved credit. Unlike many dealers who offer generic financing programs, we have established strong personal relationships with top-tier lenders such as Ally Bank, Capital One Auto Finance, Credit Union Direct Lending, Fair Leasing, Mechanics Bank, Santander Consumer USA, Wells Fargo Bank, and most of the major credit unions in Arizona which enabled us to negotiate special financing programs. Many of these financing programs are only available at Arizona Car Sales, so buy with cash, credit or debit card, use your financial institution, or get financing from us. 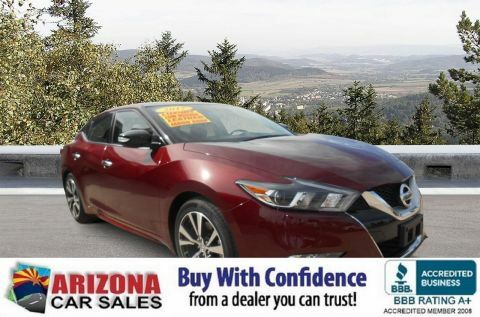 Either way, you can complete the process and see all your options all online — no other dealer offers more financing programs than Arizona Car Sales! Welcome to Arizona Car Sales, winner of CarGurus 2019 Top Rated Dealer Award for Customer Service and Transparency and an A+ rated business with the Arizona Better Business Bureau! Arizona Car Sales gives you a used car buying experience that meets and exceeds your expectations. When other dealers say they give a no pressure buying experience, at Arizona Car Sales, we deliver it! At Arizona Car Sales, we offer you a no hassle, transparent buying experience! Our vehicles are priced at or below market with real time market based pricing you’ll never have to worry about paying more than you expected and you don’t have to spend hours at the dealership to get it! No addendums, no extras and no games! We don’t have the big overhead or bogus fees big dealers have, which means, you save more when you buy your car from us! We put each vehicle through a rigorous 78-point inspection so that you can be 100% confident in the quality and safety of your vehicle. This inspection includes everything from tread depth of tires to thickness of brake pads to exterior paint quality to Bluetooth compatibility. 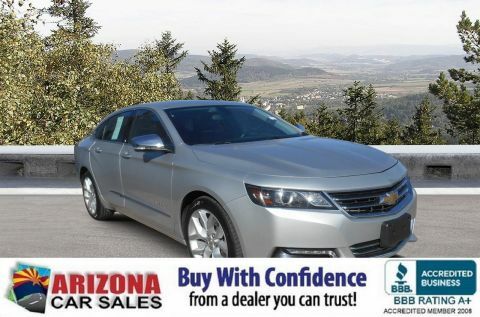 Every vehicle Arizona Car Sales sells comes with an upfront, market based price as well as a free vehicle history report. All vehicles are up to date on any manufacturer recalls and you can also get an upfront trade value right on our website before you visit us. Viewing photos and details of our entire used inventory, both in stock and arriving, is fast, simple and easy. The purchase process is fast, easy and convenient, with most customers leaving within an hour. Financing is fast and easy as well as our technology lets you see your exact down payment, monthly payment, and interest rate for every car in our inventory. And when you’re ready to buy, it’s as easy as one click. Arizona Car Sales even offers home delivery and transport options! For years, we’ve been providing drivers in Phoenix, Tucson, Gilbert, Glendale, Tempe, Avondale, Chandler, and beyond with better used cars, honest and friendly service, and competitive rates—every single time! Whether you’re in need of a new daily commuter, a work truck, a family minivan or SUV, or a fun sports coupe, there’s a great chance you’ll find it when you shop from our impressive used car selection. What’s more, you can even sell us your car, whether you buy one from us or not! Get an up-front cash offer in seconds for your vehicle or trade-in right on our website! You can get cash for your car in 10 minutes or less! Arizona Car Sales is a Credit Union Direct Lender, offering low rate APR financing through many local and national banks, credit unions and finance companies! This means Arizona Car Sales can offer financing as low as 3.99% APR, terms up to 84 months and no payments for 90 days on approved credit! Even if your credit isn’t great, we have plenty of finance options, including in house or buy here-pay here financing to qualified customers through Phoenix Auto Finance! 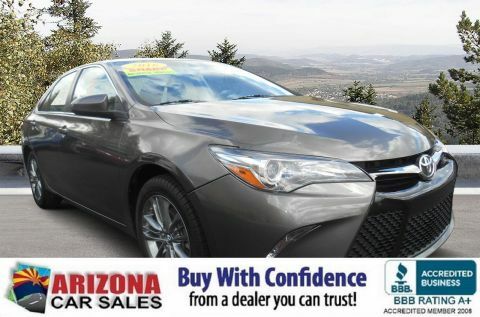 Take the time to browse through our impressive selection of pre-owned vehicles at 1648 E. Main Street in Mesa, AZ, and contact our team if we can answer any questions before your visit.